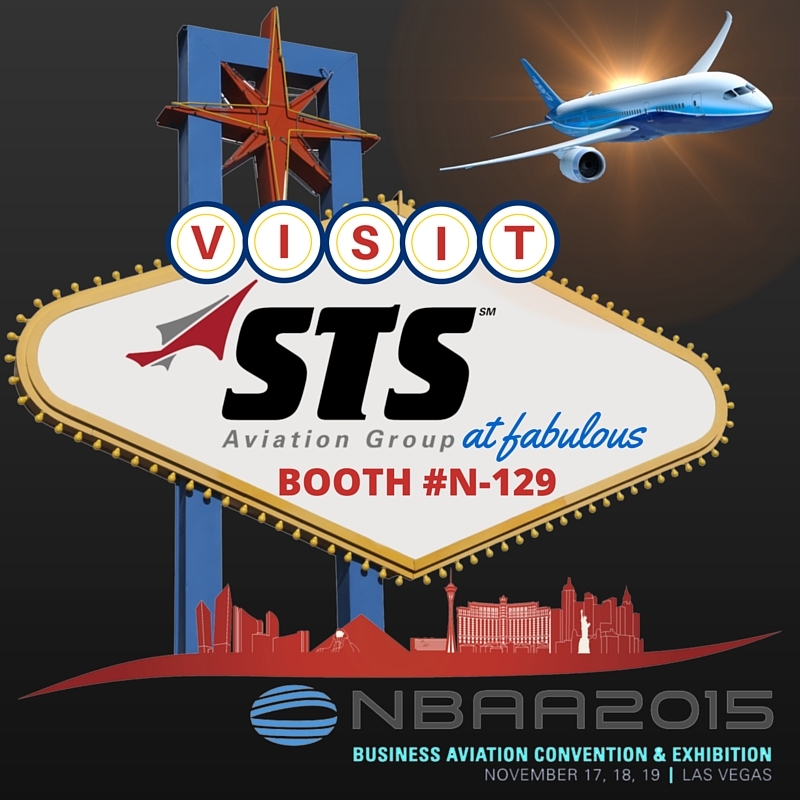 STS Aviation Group is pleased to announce that it will again be exhibiting at the NBAA Business Aviation Convention & Exhibition. This year’s show (NBAA 2015) is set to be hosted on November 17-19th at the Las Vegas Convention Center & Henderson Executive Airport. Last year, the event was listed as the fourth largest trade show in the United States, and it is an exciting venue for STS to get to know its customers and industry friends (both current and prospective). The conference is expected to draw over 26,000 attendees, and the exhibitor list jumped past 1,000 for the first time in event history. The expo will feature a static display of almost 100 business aircraft, and dozens of industry-specific training sessions and workshops will be held throughout the duration of the show. Some of the event’s social activities include the NBAA/Can Soiree that will take place on the evening of Wednesday, November 18th, at the Venetian Hotel. The Soiree will include of a sit-down dinner, a live auction and musical entertainment from The Zippers. Key team members from the STS Component Solutions and STS AeroStaff Services will be located at Booth #N-129, and all attendees are invited to stop by and meet with us. At STS Components Solutions, we are very excited to show support for both our MRO and OEM partners as the NBAA event has always been a great opportunity to maintain and build upon our business relationships with them. As a leader in the aviation staffing industry, STS AeroStaff Services representatives look forward to assisting any company that may require our expertise in recruitment process outsourcing across the aviation industry. For more information regarding our presence at NBAA 2015, or to make an appointment to meet with an STS team member directly, please contact Taylor Salisbury at taylor.salisbury@sts-cs.com or 1-888-777-2960 x8396.